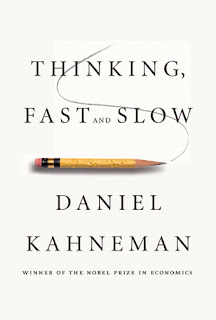 Daniel Kahneman is a psychologist and founder of the field of behavioral economics. His latest book is Thinking Fast and Slow and it has been well lauded by The Economist, The New York Times, the Wall Street Journal, and more - with good reason. It's another book that has changed the way I think - it's a new framework for thinking about how we make decisions, and gone into detail on some of the concepts I've been reading about lately in books like How Risky is it Really and Liars and Outliers. 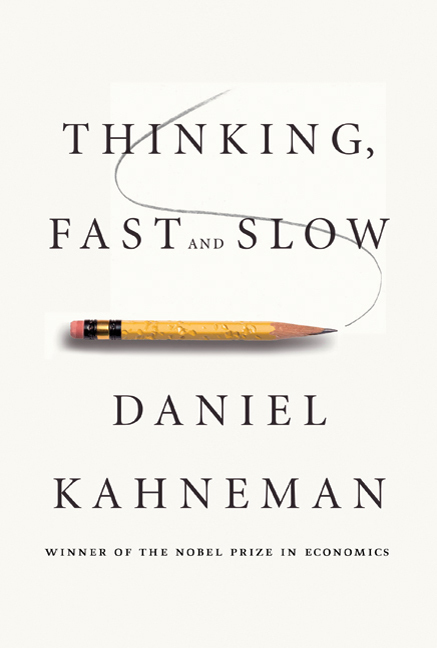 Kahneman and his late colleague Amos Tversky were the first psychologists to win a noble prize in economics for their experiments to discover "cognitive traps" such as the availability heuristic, the base rate fallacy, loss aversion, and more. Their theory is that we fall into these traps because thinking and reasoning are actually pretty hard work, so instead our brains often unknowingly substitute the answers to one question for another. This is why tall people get promoted more often, for instance. The acquisition of skills requires a regular environment, an adequate opportunity to practice, and rapid & unequivocal feedback about the correctness of thoughts and actions. Cognitive ease: Familiarity breeds liking. This is a mere exposure effect. We must be inclined to believe it because it has been repeated so often, but let's think it through again. Norms & causes: She can't accept that she was just unlucky. She needs a causal story. She will end up thinking that someone intentionally sabotaged her work. Substitutions: Do we still remember the question we are trying to answer? Or have we substituted an easier one.